I started blogging in April of 2010. Over 600 posts have been published since the inception of Attempts at Honesty. Through the years, y’all have given me much encouragement to keep at it, encouragement for which I am grateful. It is my intention to keep going, but circumstances are pushing me to take a break. Between my day job, family obligations and ministry opportunities, it is shaping up to be a very busy summer. In thinking and praying about this, I have come to the conclusion that it is time to take a break from Attempts at Honesty. There is some hesitation on my part about doing this since blogging has become such an integral part of my life. But I am convinced that taking a break is the best thing to do right now. Therefore, this will be my last post until September. Call it a vacation, call it a sabbatical, call it whatever you will, I will be taking a break. I will maintain the functionality of the blog and respond to comments but I do not intend to write any new posts until September. If you follow me on Twitter, you will continue to get “from the archives” tweets. One of the thoughts behind this is that I can spend time reading and studying without feeling the need to be writing a blog post. This will free me up to absorb, reflect and recharge. On the plus side, I will be gathering ideas for posts once I resume blogging in the fall. 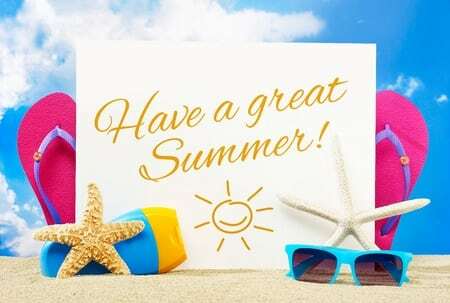 So, there is nothing left for me to do but to wish you a great summer. Let’s get back together in September. I would be open to publishing guest posts while I am “away.” If you are interested in writing for Attempts at Honesty, please see the guest post guidelines.